A hybrid bike is a very versatile type of bicycle and offers a lot of comfort. If you’ve decided you want to go with one but don’t know how to choose, this list should help you. We’ve chosen the best models with different features and styles that would fit your needs. Hybrid bikes are great for roads, everyday use, and a lot more. You can also use them for long distance travel if you pick a good quality one. But just as in riding any type of bike, you need to think of your safety first. Take a look at this and watch the video discussing bicycle safety to get more information. To keep your bike secure here is the best bike lock that you can review. You should also get a reliable helmet and this guide on the best bike helmet should help you pick one. So how do you choose which hybrid bike is right for you? Take a look at our list and guide to see which fits your needs the most. 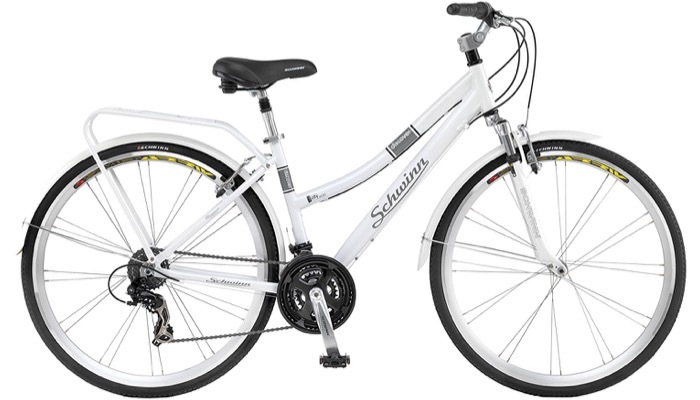 Our number one choice is the Schwinn Women’s Wayfare Hybrid Bike. It will look sweet with any outfit you choose and has a really dainty appearance. The tires are thick enough so it provides a stable ride. The riding position is upright so you can see very well with plenty of visibility. It features a 7-speed shifter and a Schwinn rear derailleur. The steel retro urban style frame has coordinating fenders and rack. It includes a quality spring seat for your comfort so this is great for everyday use. The alloy front and rear brakes are very durable and will keep you safe as you ride. 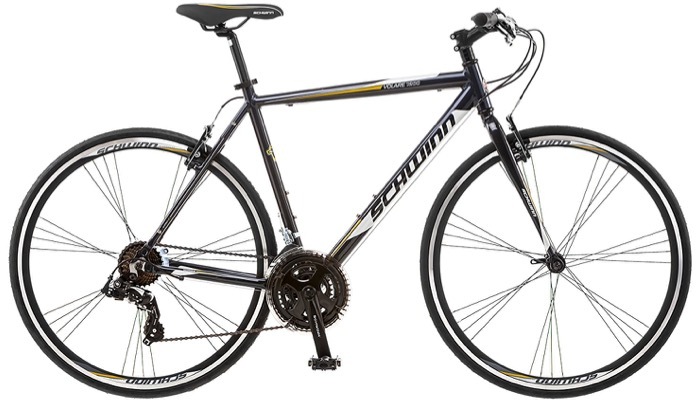 Our second best pick is the Schwinn Men’s Volare 1200 Bike. This is a versatile, lightweight, and fast hybrid bike. It’s ideal for exercise and commuting. It provides enough comfort for a casual ride and enough performance to support even an athletic training program. The rigid frame will give you full control as you ride and provides maximum return for your effort. 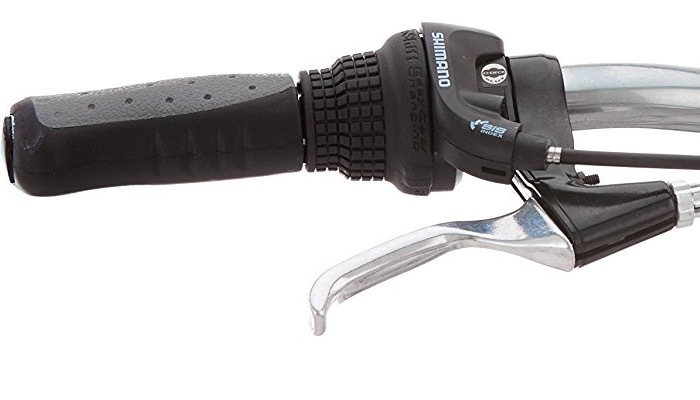 It features 21 speed Shimano EZ fire shifters so you can control your speed depending on your needs. It also has a rear derailleur. The alloy wheels keep your weight low so it’s easy to maneuver. 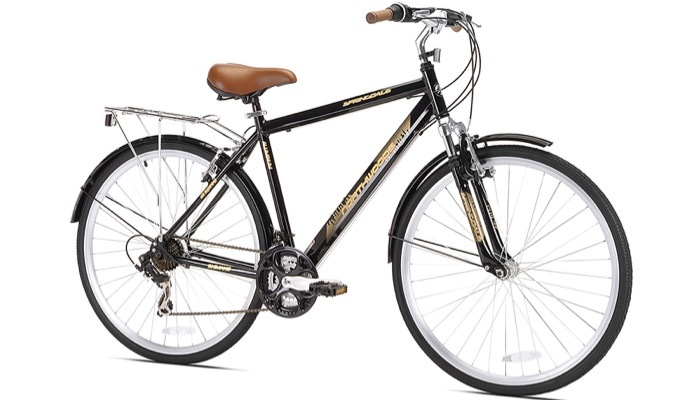 For recreation and commuting, the Northwoods Springdale Hybrid Bicycle is a great choice. It’s a great hybrid bike with a comfortable upright position. This is great for people who are looking for a dependable bicycle for casual use. 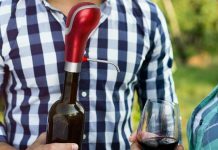 It has a handcrafted aluminum frame so it’s durable and lightweight. The bike features 700cc alloy rims and Shimano components. It features 21 speeds with a Shimano tourney rear derailleur so you can easily shift gears when you want to. The alloy quick-release seat clamp makes this a very comfortable ride. 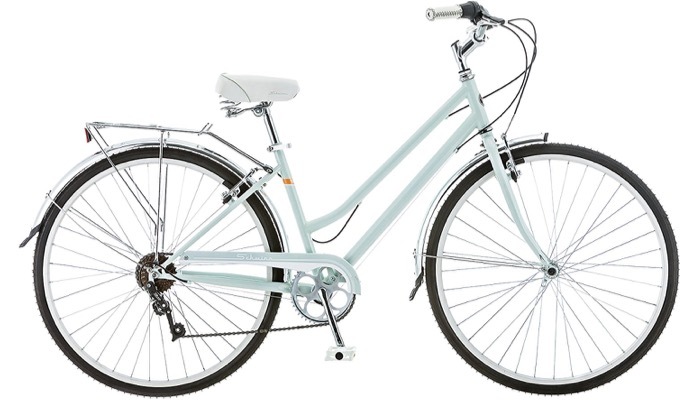 Another great choice for women is the six three zero EVRYjourney Women’s Hybrid Bicycle. This hybrid bike has high gloss chrome components and a frame with a glistening sheen. So this will look very classy in your neighborhood. It looks like a sleek modern showpiece. The classic hybrid cruiser style makes this ideal for the cruise, leisure, and commute riding. Its Shimano 7 speed hub allows it to perform on streets and trails. This is also great for uphill biking and for riding long distances. It has a forward pedaling design and features an upright riding position so it’s very comfortable. 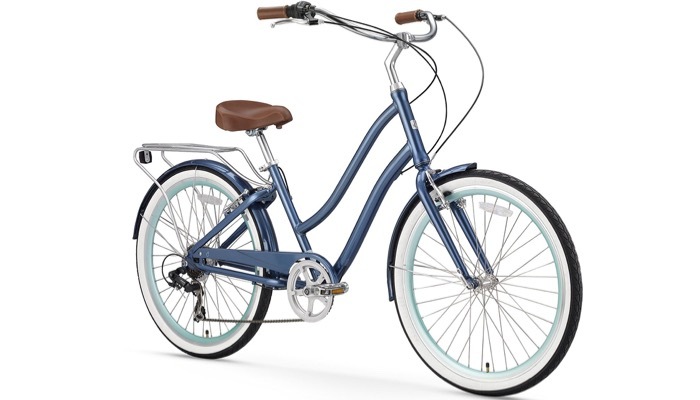 You might also like the Schwinn Discover Women’s Hybrid Bike. It’s a great bike for commuting and other recreational uses. It has a classic look so it will match anything in your closet. The frame is made for urban riding and has a front suspension fork so hole covers and pavement patches are easier to take. Its rear rack allows you to carry your bag or groceries home. The coordinating fenders are snazzy and practical. It features 21 speeds with a Shimano twist shifters and a rear derailleur so it’s very easy to shift gears. There are an alloy front and rear linear pull brakes for your safety. 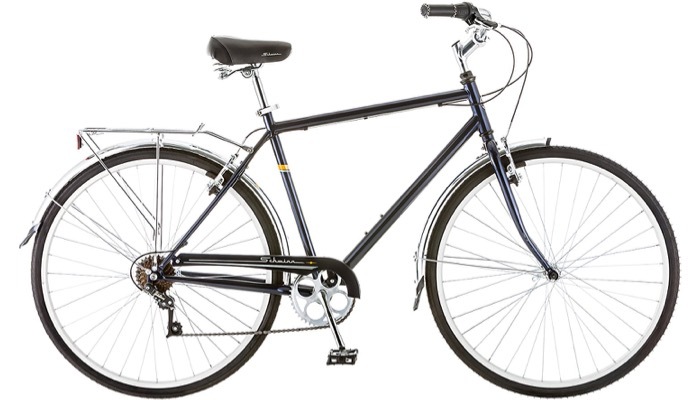 A less expensive but good quality model is the Schwinn Men’s Wayfarer Hybrid Bike. It features 7-speed shifters and a Schwinn derailleur so it’s very convenient for you to shift gears. Increase the speed on the level and even surfaces and lower it when tackling more difficult trails. The steel retro urban style frame with coordinating fenders and rack look really classy. It’s also lightweight and durable. 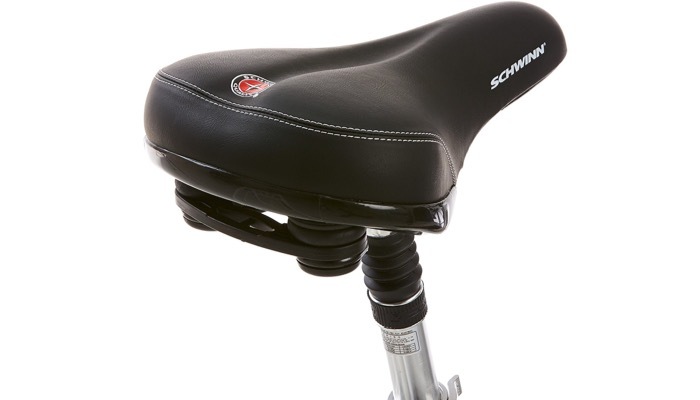 It features a quality Schwinn spring seat for your comfort. You can ride this bike every day for exercise and commute. The alloy front and rear brakes are designed especially for your safety. Hybrid bikes are adaptable and versatile. They’re also a hard wearing bike that is perfect for the road or on the gravel trail. A hybrid bike is a combination of a road and a mountain bike. The tires are one of the most important aspects of a hybrid bike. You should choose one with at least 700cc tires so that it can roll across pavements, small bumps, and cracks on the road. It also makes for easier acceleration and uphill bike rides. Your hybrid bike frame should be durable but it should be lightweight. Aluminum is practical and should give you a smooth ride. It is strong and rust resistant. Unlike other types of bicycles, a hybrid bike offers a lot of comforts so do not compromise this aspect. Choose one with front suspension forks so that takes the shock and absorbs the effects of bumping as you ride on sidewalks or potholes. You would need shifting gears if you intend to bike on different trails and go uphill. But if you’re just going to use it on flat grounds, a single gear will do. Whatever you do or choose, do not forget to check that the brakes on your hybrid bike are working properly. The brakes should also be effective in wet and muddy conditions. On the other hand, check out our guide on how to clean your bike’s chain and how to take a chain off a bike. Also, for your fitness routine at home, you may check out our take on the best upright exercise bike and best compact exercise bikes.